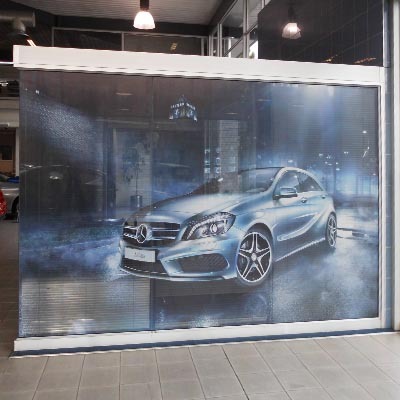 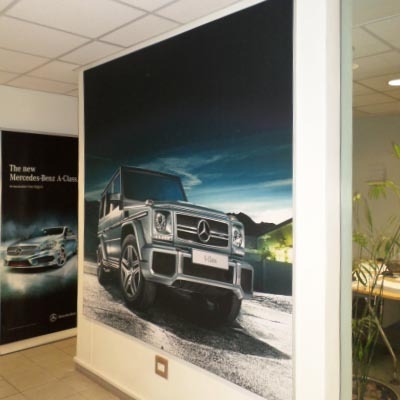 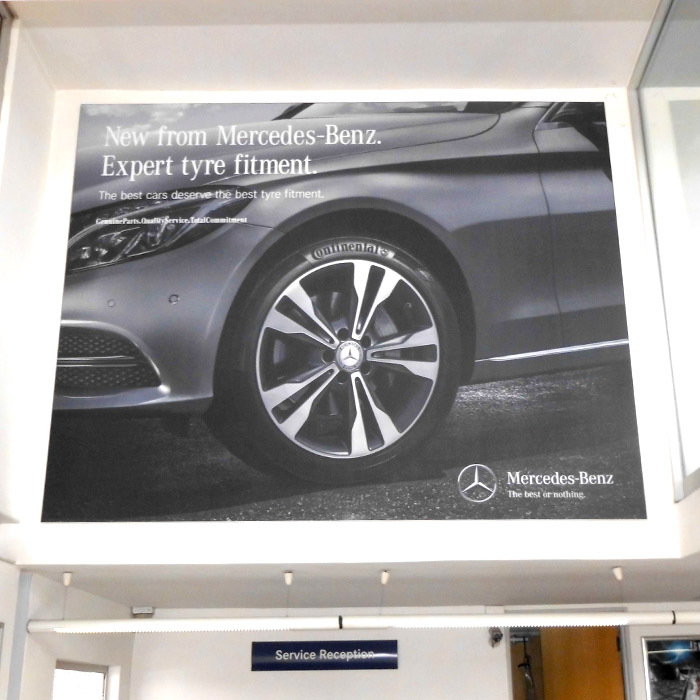 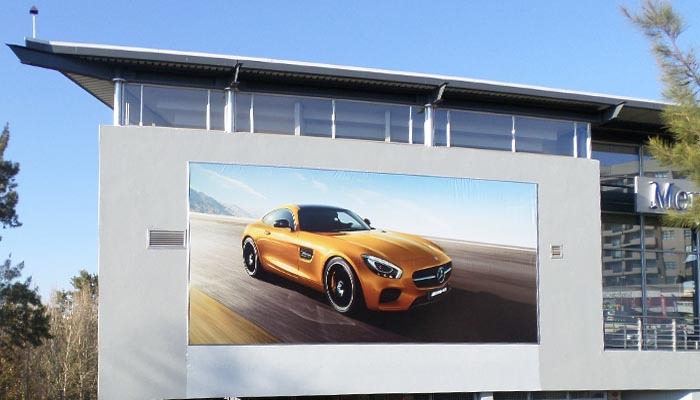 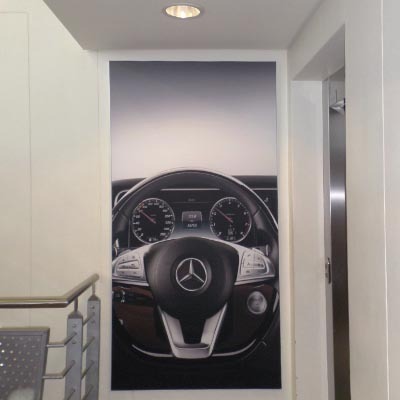 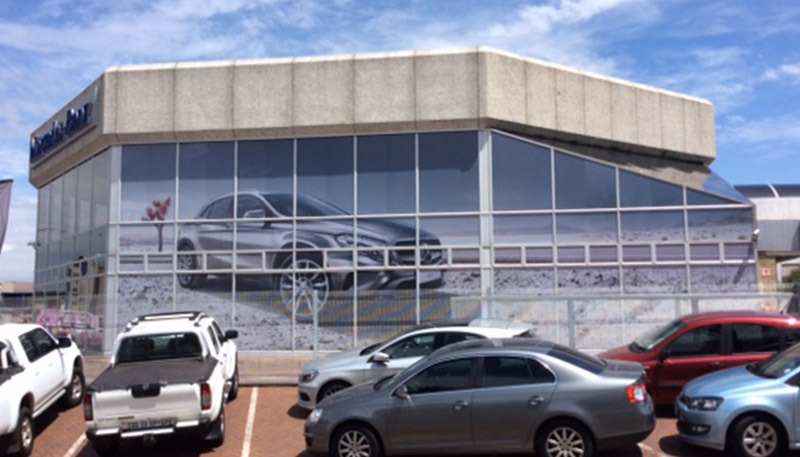 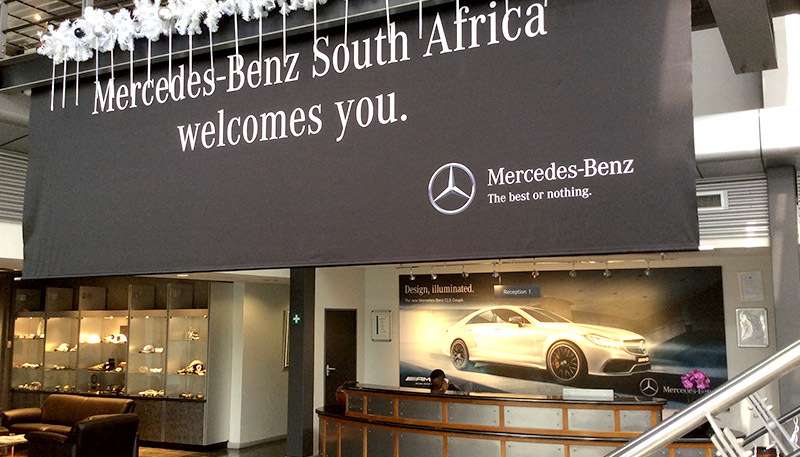 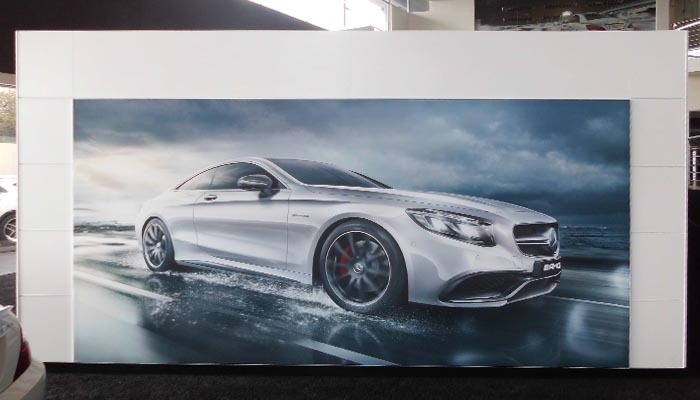 On behalf of Network BBDO, Clarion Retail recently branded both the Mercedes Northcliff and Mercedes Century Motors Carletonville dealerships. 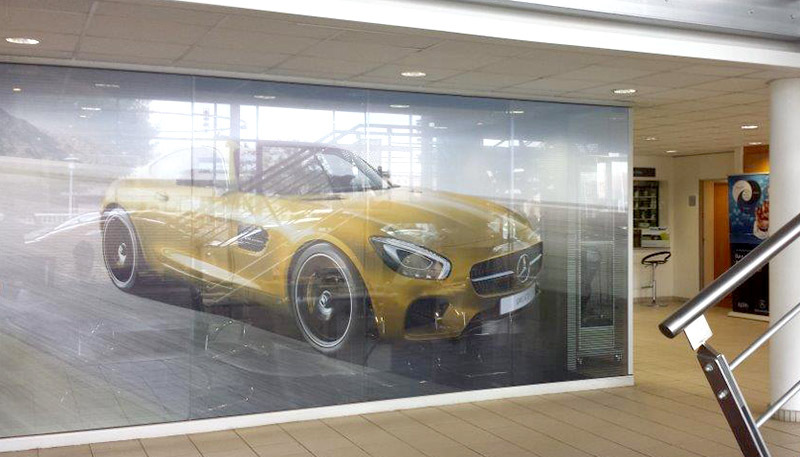 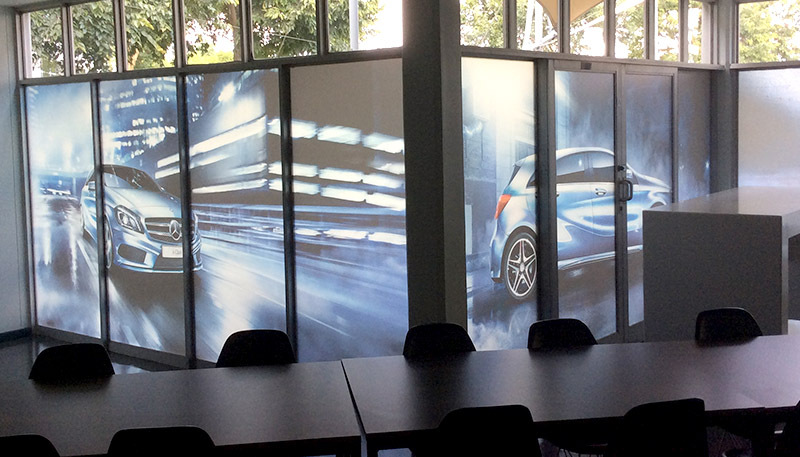 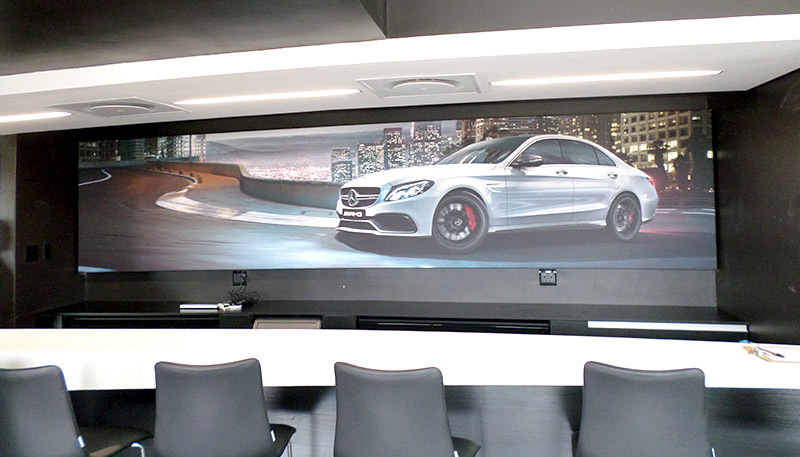 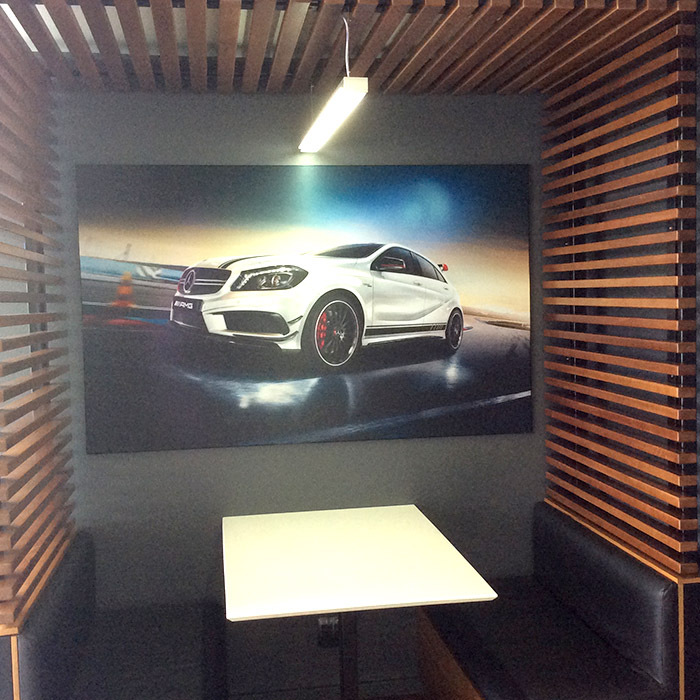 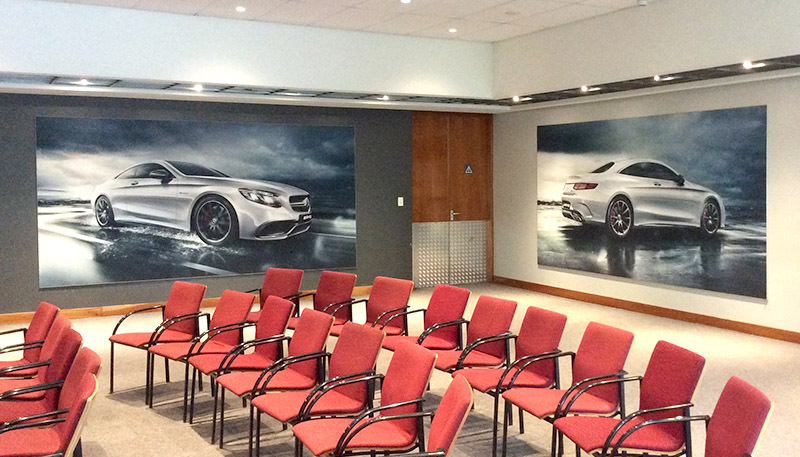 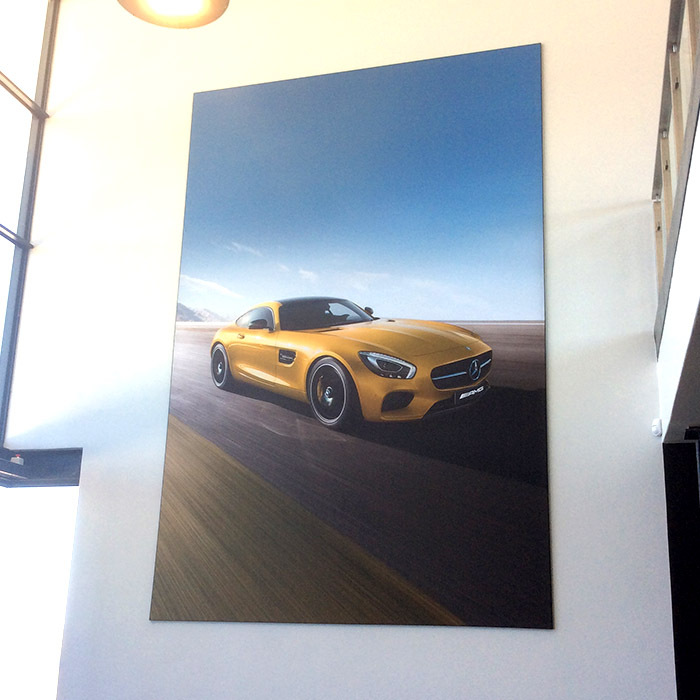 In addition, Clarion Retail branded the AMG Driving Academy at the Zwartkop Raceway – a flagship project for Mercedes.Clarion Retail completed the first two phases of branding at Mercedes Benz Head Office in Centurion. 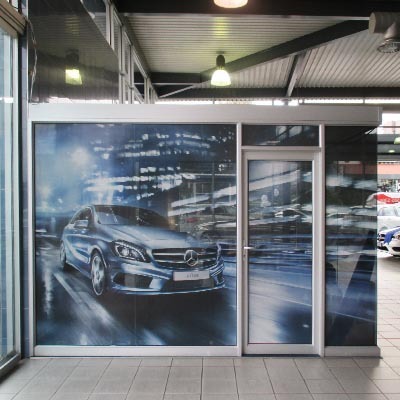 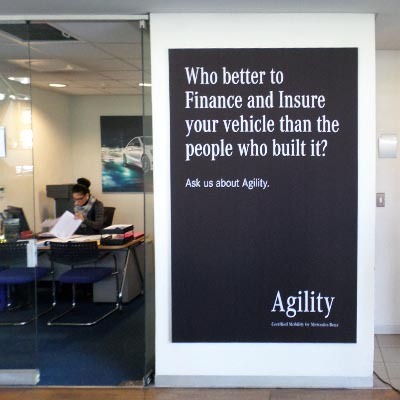 The project included the use of contravision, printed frosted vinyl, matrix frames and fabric prints as well as fabric drop down welcome banners in the reception area.Clarion Retail also rolled out a “Tyre Fitment” branding campaign in 20 dealerships throughout Gauteng with matrix frames and prints.Network BBDO was exceptionally happy with the high quality of the prints and the professional level of service from Clarion Retail. 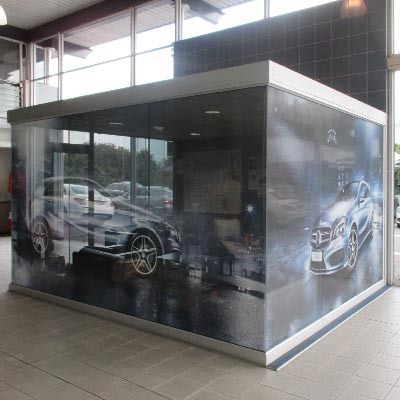 We managed to complete these projects quickly, efficiently and within an extremely tight deadline – proving that Clarion Retail and Clarion Brand Activation delivers exceptionally high quality products with a short lead-time.